Denis Handlin AO is the Chairman & Chief Executive Officer of Sony Music Entertainment Australia Pty Ltd and Sony Music Entertainment New Zealand Limited and President, Sony Music Entertainment Asia Inc.
Sony Music Australia is one of Australia’s largest music entertainment companies, being a major player in the recording and marketing of local and international artists through CDs, DVDs and digital music services. Sony Music is also the leading music entertainment company for touring, events, artist, sport & media personality management and branded entertainment projects. Born in Brisbane, Queensland in 1951, Denis was educated at St Joseph’s College, Gregory Terrace, Brisbane. Denis started with the Australian Record Company (now Sony Music) in May 1970 in the Distribution Division in Brisbane, making him the longest serving global Sony Music employee. In 1976 he moved to Sony Music’s head office in Sydney and held a number of senior positions including National Promotions Manager, Director of Marketing and General Manager, Marketing and Sales. Denis was appointed Managing Director and Chief Executive Officer of the Australian company in 1984. In February 1996, he was made Chairman, Sony Music Entertainment Australia Limited and appointed to the international committee responsible for the company’s global strategy. In 2002, Denis was appointed to chair the Sony Music International Strategy committee which identified new business and product directions. Following the global merger of Sony Music and Bertelsmann Media Group, Denis was appointed in September 2004 as Chairman & Chief Executive Officer of SONY BMG Australia & New Zealand. In September 2008, following Sony Corporation acquiring Bertelsmann’s share in SONY BMG, the company was renamed to Sony Music Entertainment from January 2009. In September 2010, in addition to his Australia and New Zealand responsibilities, he was appointed President, South East Asia & Korea, managing the day-to-day operations of the Asian Regional Office located in Hong Kong and the Indonesia, South Korea, Malaysia, Philippines, Singapore and Thailand affiliates. In August 2011, Denis was appointed President, Asia which in addition to his responsibility for Australia & New Zealand and South East Asia & Korea, he is also responsible for the operations of China, Taiwan, Hong Kong, India and the Middle East companies. Since Denis became Chief Executive in 1984, Sony Music (previously CBS Records) has successfully expanded into many new areas such as video games, music publishing, DVDs and CD manufacturing, digital & online portals, merchandising and television & content creation. More recently, the company has diversified into touring & events, artist & sports management and branded entertainment projects. Sony Music has consistently been one of the top performing music companies globally and on a number of occasions Sony Music Australia was the top performing international affiliate of Sony Music. Denis is renowned for his highly competitive spirit and his championing of local talent. Under his leadership, Australian artists such as Men at Work, Midnight Oil, Silverchair, John Farnham, Daryl Braithwaite, Tina Arena, Delta Goodrem, Human Nature, Guy Sebastian, Jessica Mauboy, The Veronicas, Justice Crew, Pete Murray and David Campbell have achieved international recognition and success. In May 1996, Denis became the first Australian and the first Sony Music Entertainment executive to be honoured with the CEO Special Recognition Award presented by Sony Chairman and CEO Norio Ohga. The award is presented annually to the one Sony executive worldwide who has achieved unique or extraordinary results in their professional activities. Senior executives from all of Sony’s operating groups can be nominated for the Award. In that year, 147 executives were nominated, from which 21 finalists were drawn. Denis has a deep involvement in the music industry. He has served on the committees of several industry associations and has held various positions including Chairman of the Phonographic Performance Company of Australia, Vice Chairman of the Australian Recording Industry Association (ARIA) and Chairman of the ARIA Industry Chart Committee. Denis has been a member of the ARIA Board since 1984 and held the position of Chairman of ARIA for an unprecedented ten consecutive years. He was reappointed ARIA Chairman in September 2010 and continues to hold that position. In November 2012, Denis was elected to the position of Vice Chairman of the International Federation of the Phonographic Industry (IFPI) Asia Regional Board and in November 2014, Denis was elected as Chairman of the IFPI Asia Pacific Board. Outside of the music industry, Denis is strongly committed to community work and is a founding member of the Sony Foundation of Australia which has raised close to $28 million since 1998 for youth based charitable causes. His community work has also included Board positions and major fundraising for the Children’s Hospital Westmead, Parkinson’s Syndrome Society and a number of other important charities. Denis was appointed as a Patron of the Youth Off The Streets scholarship program in its inaugural year in 2004 and is an inaugural Board Member of the Ricky Stuart Foundation which was formed in 2012 that raises funds to establish awareness and services for autism. Denis is also a mentor of the Queensland State of Origin team and has been so for 11 years during their unprecedented success of Ten Series’ wins. “service to the music industry, particularly through the promotion of Australian musicians, to professional organisations, and to the community through fundraising for charitable organisations”. “for distinguished service to the Australian recording industry, through leadership and mentoring roles, as a supporter of young artists, and to charitable organisations as a director, patron and contributor”. On June 23, 2009, Denis received the Ted Albert Award for Outstanding Services to Australian Music from the Australasian Performing Right Association (APRA). This prestigious Award is chosen by the APRA Board of Songwriters and Music Publisher Directors. In April 2012, Denis received the ‘Label Executive of the Year – Major’ award from the Worldwide Radio Summit Industry Awards held in Los Angeles. The Summit covers a number of award categories which are voted on by peers from radio and the industry in the US and around the world. In October 2014, a special Sony Foundation event was held to recognise Denis’ 30 years leading Sony Music Australia. The event raised funds to create a special endowment fund to provide annual grants to support children with disabilities. 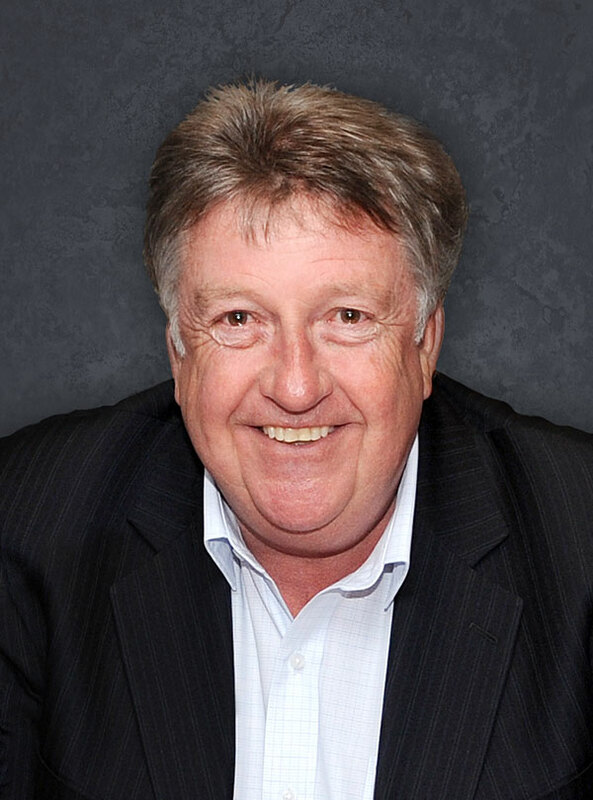 Denis was awarded the ARIA Industry Icon Award by the ARIA Board in November 2014. The award was presented to him at the 2014 ARIA Awards Chairman’s Cocktail Party by his long-term friend and industry colleague, Molly Meldrum, and Sony Music artist, Jessica Mauboy. The award is made in recognition of Denis’ outstanding contribution to the development of the Australian music industry, in particular Australian artists and industry copyright and reform matters. In May 2017, Denis accepted as a Foundation co-founder and on behalf of the Sony Foundation a special award at the Sony Annual Management conference in Tokyo. This was presented by CEO and President of Sony Corporation, Kaz Hirai, recognising the Foundation’s outstanding contribution achieved from fundraising events to the benefit of the community and charitable causes through its programs, employee engagement, collaboration with business partners, Sony Music artists and ambassadors. Denis has been married to his wife Jan for longer than he has been leading Sony Music. They have been married for 40 years this year and have six children.